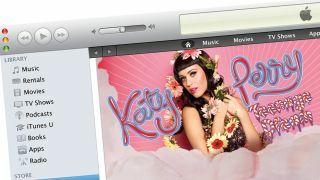 Apple is planning to enter the world of custom internet radio, according to the Wall Street Journal. The company is said to be in talks with the major record labels to license tracks and allow users to create stations based on albums, songs, artists or playlists. The WSJ says the service will rival the market-leading - and US only - Pandora service, while Spotify has also expanded into this area with some success. The report claims that service will run on iOS devices and Mac computers, while it'd be fair to assume that any custom stations would be synced across your hardware through iCloud. Speculation that Apple may enter this market has blown hot and cold in the last couple of years. This time, the Wall Street Journal says, Apple is negotiating slightly different licenses to those obtained by the likes of Pandora, Spotify, Rdio and Slacker. The 'paper hints that Apple wants a greater level of user interactivity, which probably means more skips. With talks said to be underway, it'll be interesting to see if Apple is able to announce any new service at next Tuesday's iPhone 5 launch event.